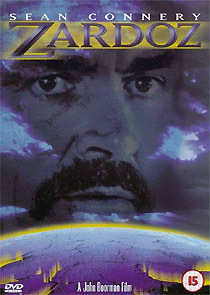 Zardoz, John Boorman’s kooky 1974 tale of a futuristic society split into two contrasting groups (the emotionless elite and the brutal riff-raff) has been expertly overhauled for Fox’s UK Region 2 disc, which offers a 2.35:1, 16:9-enhanced presentation of the film, with strong, sharp images (marred only by a degree of film grain, and a few nicks and scratches). The audio is a much-improved 3.0 mix from the original stereo masters, offering left, centre and right channels (at 384kbps). Radio spots, the theatrical trailer and a modest stills / artwork gallery are available, but the chief attraction is a new commentary track by Boorman, who offers plenty of interesting anecdotes, and does his best to explain whatever the hell it is that the film is about.